The technology should be advanced enough that locals living in rural communities can build and maintain their tools independently. This means training people to work with materials that are available in their community. The Safe Water Project trains locals in developing nations how to build, test, and sell biosand filters in their communities. Many people living in regions of the world effected by the water crisis have water, it just isn't safe to drink. 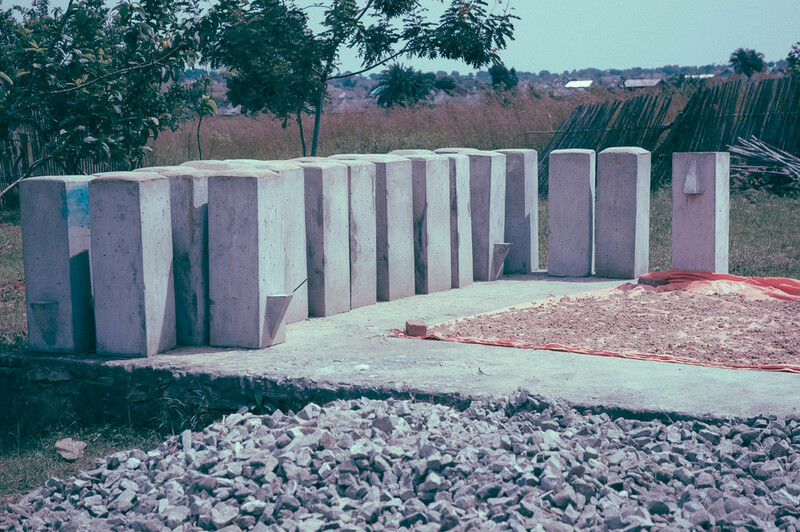 Biosand filters can be constructed with locally available materials such as sand and gravel and require no electricity or chemicals to operate. A biosand filter is simple. All water contains beneficial bacteria (probiotics) along with harmful organisms. The beneficial bacteria accumulate and thrive in the upper layers of sand to form a bio-layer. When you pour water through the filter, the bacteria in the bio-layer kill the harmful bacteria in the water and purify the water as it moves through the filter. Each biosand filter will purify 20,000 litres of water per year and avoid 3 tonnes of greenhouse gas (GHG) emissions that would otherwise be necessary to boil a portion of this water to make it safe to drink. On average, 3 families can share a biosand filter. Crushed rock is the best sand and gravel to use and can be obtained from gravel pits or quarries. If crushed rock is not available, the next choice is sand from a sand quarry or pit. The sand and gravel from the side banks of a river can be used, but this usually requires more work and time to make it clean. Various sized sieves are used to sort the gravel and sand that will be used in the concrete to build the container and used inside the filter as filtration sand. The sand and gravel is washed once it's sieved and sorted. Teams build molds that are used to form the concrete container. The molds are assembled and a piece of tubing is run from the bottom of the mold to the spout. Sand, gravel, cement, and water are mixed together to produce the concrete. The concrete mixture is tested to make sure it is not too dry or wet. The mold is then filled with concrete and left to rest for 24 hours. The mold is then removed and the filter is filled with water and left to cure for 7 days. The purpose of the diffuser is to protect the biolayer when pouring water into the top of the filter. The diffuser plate also helps the water drip onto the sand evenly across the top so that all of the sand can be used to treat the water. The diffuser can be made out of materials such as wood or tin, it is recommended to use a material that is available locally and that someone local has the skills to work with. Holes should be 3 mm in diameter and should be spaced out by 2.5 cm in a grid pattern. The purpose of the lid is to prevent anything from getting inside the filter. The lid can also be made out of several materials, it is recommended to use a material that is available locally and that someone local has the skills to work with. The concrete container is transported to the customers home along with the gravel and sand that will be placed in the container. About 10 litres of water is placed into the filter to prevent air pockets and dry spots in the sand. A small amount of laundry bleach is added to the water to disinfect the sand and gravel added to the filter. About 3 litres of gravel is added to form a 5 cm layer of drainage gravel. Next, about 3.25 litres of separation gravel is added to form a 5 cm layer. Then about 30 litres of filtration sand is added to reach the fill line. The diffuser plate is installed and a bucket of water is poured into the top of the filter to flush out the bleach and the flow rate is measured to make sure the system operates correctly.